Comments: One of the "Top Twenty" Egypt & Nubia full folios, showing the temple at Dendera with the faces of the Goddess Hathor having been obliterated by early Christians. 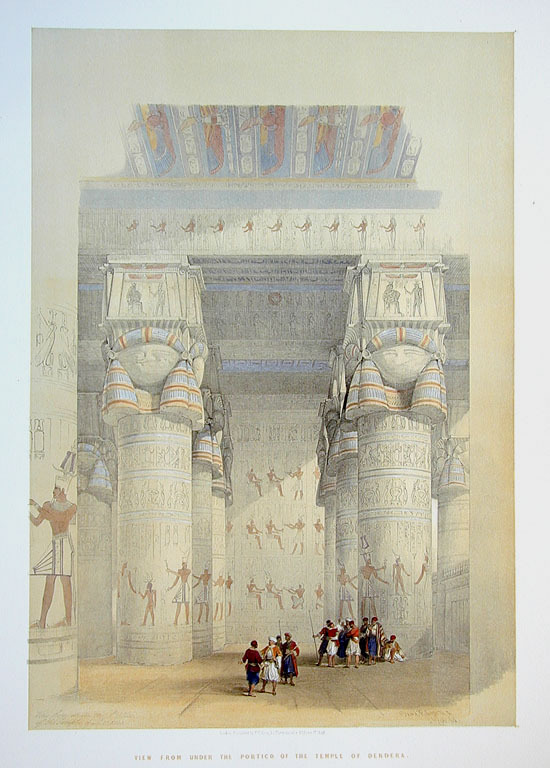 Title: View from Under the Portico of the Temple of Dendera. Dimensions: Paper : 16 3/8" x 23 7/8"
Image: 13 13/16" x 19 7/8"